One thing is for sure; every little girl goes through a tutu phase. Learn how to make your own tutu and then customize a special tutu with one of these fun craft tutorials! Tutus have been around since the early 1800s, starting as a sheer dress that was worn by ballerinas. Today, a tutu can not only transform a little girl into a lovely ballerina (or fairy! or princess! or superhero!) but can make a fashion statement as well. A beautiful tutu in a pastel color will make her look and feel like a princess. We found several DIY tutus that will help you craft adorable little outfits for your kids or even yourself! Learn how to make the above tutu for your little ones in under an hour. This tutu can be a pretty, thrifty Halloween costume or just something to be worn around the house to bring out your inner princess. Can't you just feel the happiness radiating from this photo? Hop on over to Delia Creates to learn how to make a tutu that will have your little ones jumping for joy! Tutus are perfect as easy accessories for Halloween costumes. Make the most adorable little piggy costumes from pink tulle, a pink sweatshirt, and cute little piggy ears. Piggy tutus are an easy DIY costume, which you can whip up in less than two hours. Busy Moms that want to DIY their kid's costumes but are short on time will certainly appreciate this tutorial. Grown women love to wear tutus, too. The ladies from Bespoke Bride suggest that a romantic ombre skirt would be perfect for the avant-garde bride. Whatever event you wear this feminine tulle skirt to, it will surely be pretty and feminine. Toy monkeys made from socks are a classic American toy. They were originally made from red heeled "Rockford" socks, but you can make them from any type of colorful socks. Add a tutu to your monkey for cuteness overload. Make several in different colors for your children to enjoy. Can you believe that this elaborate princess costume is a no-sew project? It looks impressive and it's not as hard to make as you would think. The dress is based on a costume worn by a character in the movie Wreck-It Ralph. We believe girls would love to wear this princess dress on Halloween or for dress up play. Do you have a child taking ballet lessons and need to make a tutu for a performance? Follow the easy instructions provided in the tutorial and you will be set in no time. Add a lovely large flower as an accessory and your child will be the prima ballerina. Turn a plain jane premade tutu dress into a fashion statement. All you have to do is iron on appliques and apply turquoise glitter glue to the hem. Channel your inner woodland nymph with an easy to make a fairy dress from tulle. This woodland fairy costume would be perfect for Halloween or for those who love attending Rennaisance Fairs. 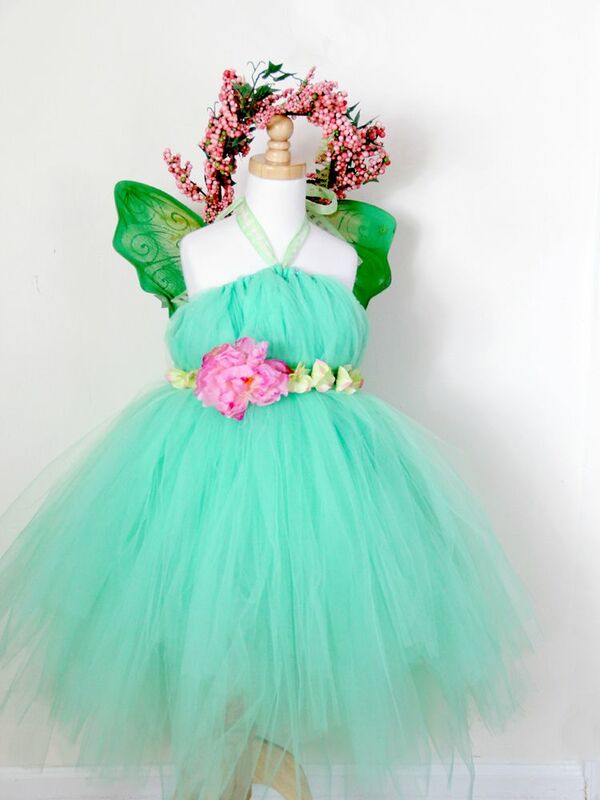 This woodland fairy costume is whimsical, feminine, and very pretty. Let's not forget our canine friends. Your dog will look adorable on Halloween with a tutu as an accessory. Take your dog along when your kids are trick-or-treating and let him join in on the fun. 10 FreeTeabag Wallets Patterns to Sew for Gifts and More!